ObservingGreece: Central Bank Money Printing = Rise in Stock Markets? A Phenomenal Graph! 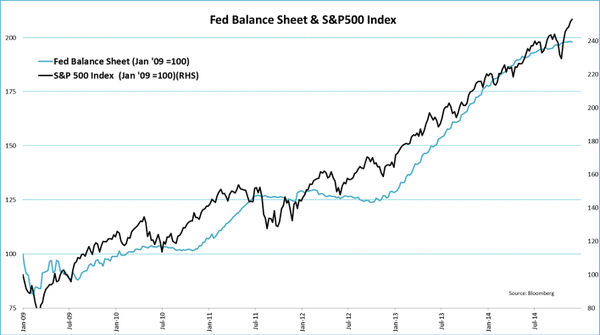 Central Bank Money Printing = Rise in Stock Markets? A Phenomenal Graph! Rarely have I seen as graph as phenomenal as the one below. It obviously is self-explanatory! Parallel Currency - Revisiting Justified? Alexis Tsipras - A Very Lucky Man! 180 MPs Will Vote for the President! Timeo Danaos Et Dona Ferentes?